Remember my date day’s last summer? Well, McDonalds is coming through for us again. 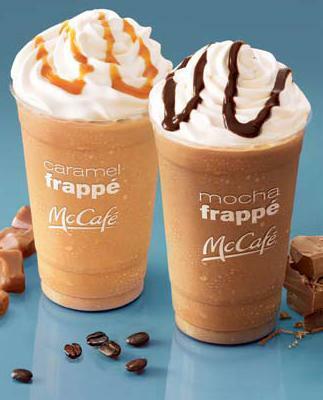 They are offering free McCafe Frappes in Caramel or Mocha on Fridays through July 9th (7am – 7pm). You will be given a free sample size frappe in your flavor of choice. Make sure to check with your local McDonald’s before you go to see if they are participating.